Whether you need to move a small corner store or a major corporation in New Jersey, choosing a commercial mover that can provides affordable and efficient moving services is essential. SeaCure Moving is a full-service New Jersey commercial mover that can meet your every need. We’ve been in business since 1981 and have completed hundreds of commercial moves of all sizes during that time. 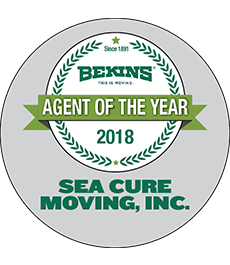 As a BBB-accredited business and a ProMover-accredited member of the American Moving & Storage Association (AMSA), SeaCure has been providing quality services to customers for over three decades. Your business is unique, so as a New Jersey commercial mover we will make sure that your relocation is as seamless as possible. We’ll assign you a Commercial Move Coordinator who will work with you to create a custom moving plan that matches your businesses schedule and budget. Office Movers: Whether you have five desks to move or two hundred, count on SeaCure to minimize your downtime and get you back in business quickly. Corporate Relocation: As a Bekins agent, we have the resources and specialized equipment necessary to move your corporation around the world. Industrial Movers: We can pack, crate, and transport your lab equipment and heavy machinery seamlessly. Don’t delay any longer, and get in contact with reliable New Jersey commercial movers at SeaCure Moving today.